Squeeze some of the liquid out of the zucchini with your hands. In a large bowl, combine the zucchini, corn, onion, chives, ricotta, eggs, salt and pepper. Stir in the flour just until incorporated. Line a baking sheet with paper towels. In a large cast iron skillet, heat oil over medium heat until shimmering. 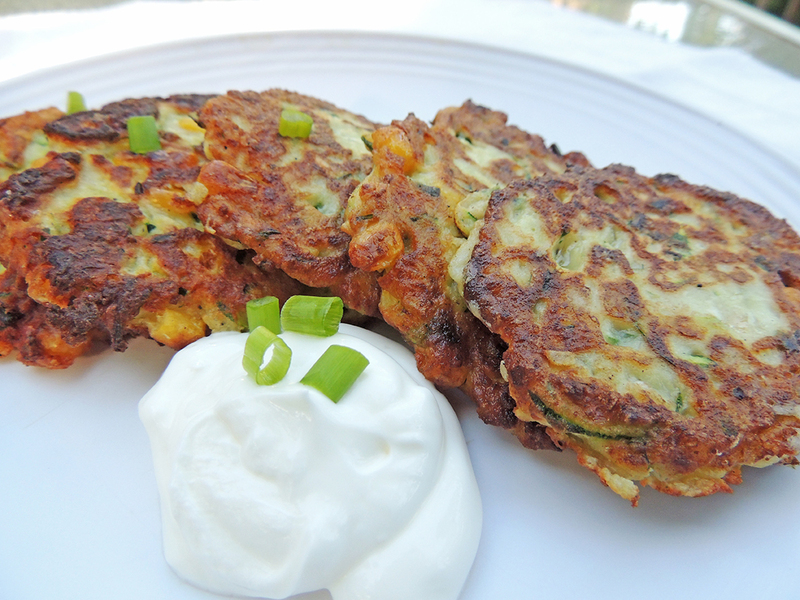 Working in batches, add 2-tablespoon mounds of zucchini batter to the oil, spreading to form 3-inch patties. Fry until browned and crisp, about 2 minutes. Carefully flip and cook other sides. Drain on the paper towels and serve immediately with sour cream.